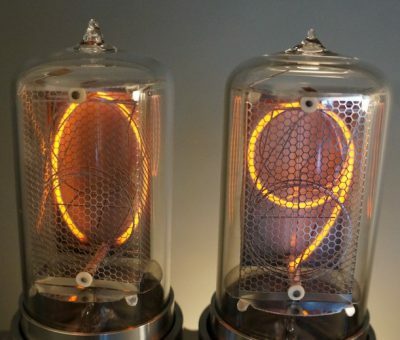 One year ago, I set myself a goal to arrange things in the company so that I can hire an employee to help me with the manual routine works on nixie tubes. I was working alone, with Karel, a pensioner, for small ad-hoc jobs. My wife Eva was helping me with administrative tasks (accounting, all the bureaucracy, etc..). And I urgently needed a help. This new employee should have been someone who would step by step learn all the processes of cleaning and assembly of inner tube parts and would become a regular employee in long term perspective. During first months of 2016, we had approximately $5.000 monthly stable turnover, IMHO right time to hire first employee. After some time, we found a skillful lady (Monika) for half-time job, she had experience with soldering and similar jobs. I offered a bit higher salary than common for manual job of this character. She was first employee and the last thing I would need is to lose her after training because someone else offered 20% more (economy is growing fast here, unemployment very low). 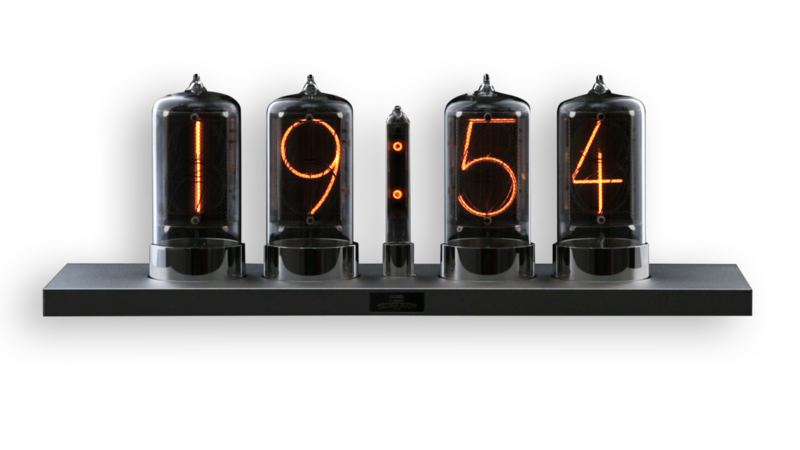 In two months, she learned lot of operations from the nixie tube manufacture. The beginnings were tough, I was learning how to train, prepare the work, check the results and what to do when you run out of parts for assembly 😉 After few months, Monika was eventually able to work almost independently on me. 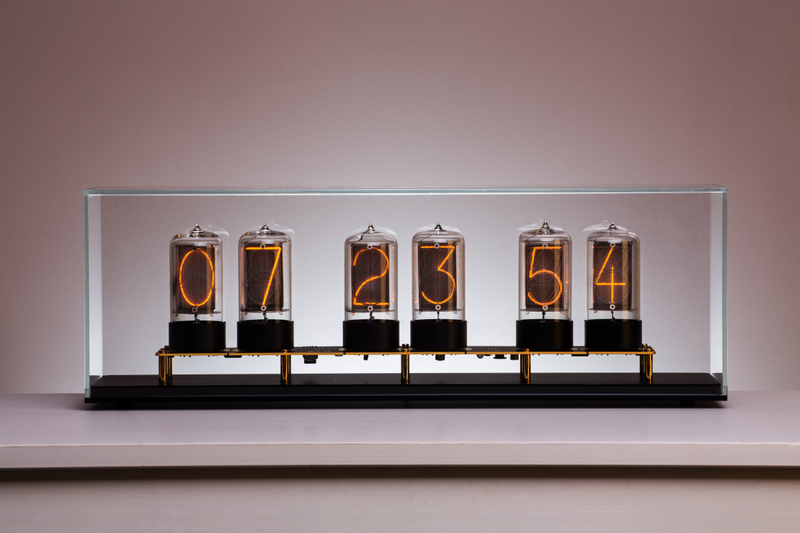 I finally found this whole process worth all the struggle, I could start with new project – Zen Nixie Clock. After couple of months of development, we revealed the Zen Nixie Clock – simple from the design point of view, easy to manufacture and as affordable as possible. Demand in the clock exceeded my expectations (over 50 orders until end of year), I soon found that I am not able to manage all the jobs myself (glassblowing, tube processing, programming, soldering, communicating with customers etc..), another help was needed. I started to look for a fulltime glassblower. Czech republic is famous for its glass industry, we have plenty of big companies producing hand made top notch design glass objects (from small glasses to huge chandeliers etc..), but unfortunately in the opposite end of the country. I tried to advertise a glassblower position and got few tens of replies, but no glassblower. I invited some applicants, and one of them, Katerina, made really good impression. She had plently of experience with difficult hand making jobs and (most important!) – she had the balls to do this job! Others were a bit scared of the glassblowing lathe, burners, gas cylinders and all these bunches of hoses 😉 After another few months of training, Katerina is now able to do most of the glassblowing tasks (sealing stem-envelopes, tip-offs, etc..) and many other jobs in the workshop – freeing my hands a bit! On the beginning of 2016, we were making around 30 tubes per month. In the middle of the year, when Monika was already trained, the production grew to 60 tubes per month. On the end of year, with Katerina trained, we were making around 100 tubes per month. Around 700 tubes in total in this year. In 2016, we had $125.000 turnover , with estimated profit of $25.000. First year in profit since start of the nixie project in 2012. In 2017, I want to polish our internal processes and focus on customer experience instead of development of new products. I plan to eliminate the time customers need to wait for manufacture of pruchased tubes/clocks. 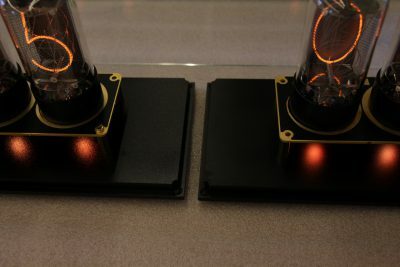 Now it is close to two months for tubes and even more for Zen clock. We were taking payments in advance for orders, since 2017, I want to charge customers just before shipping – or better ship immediately after order and payment. 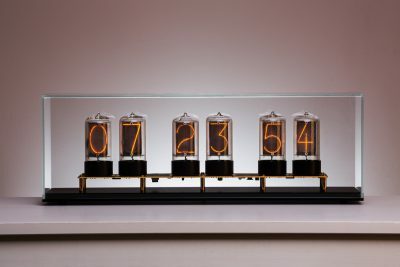 I want to focus on software features of the Zen Nixie Clock, I hadnt much time for implementation of new things recently. I must finish the colon tubes for Zen clock. There are many interesting things going on here, I would like to share more with you. I plan to find more time to take photos, write posts and show more from “behind the scenes”. Also this year brought us a couple of serious problems to figure out. We got few months delayed with shipping of the first Zen clocks due to issues in production of anodized stands. I discovered a local company making good quality powder coating with fine texture, looking similar to anodizing – this will be nice and less expensive option of the Zen clock surface finish. And it finally seems we are getting first fine anodized batch. Powder coating (left) vs. anodizing (right – rejected piece). Another problem I need to figure out is a failure of glow on the bottom part of digits few weeks after tube tube is shipped to customer. This happens to 1.5% of tubes (9 tubes in 2016), the goal is 0% fail rate. I am not sure if this problem has a definite solution as it appears randomly without changes in manufacture settings or material batches. It happens usually within few weeks after shipment, even though some tubes were at our lab for three months before shipping (without any visible or measurable difference). I already have some clues and want to prevent this from hapenning again as it always frustraing for both sides. 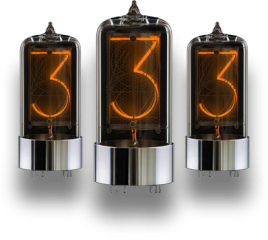 I want to thank all our customers for purchasing our nixie tubes, every order is important and enables us to keep the art of nixie tube manufacture alive. You showed so much patience waiting for manufacture of your orders! I also must thank all the supporters for their help, advices and positive feedback! I cant wait to see what will year 2017 bring!